Angels are very popular, and here’s a fun Dollar Bill Angel you can make. 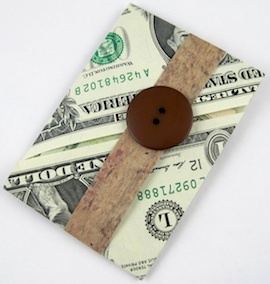 It is a much nicer way to give a gift of cash, and easy to create. You can give any amount of cash this way. For instance you could make the body from a $10 bill and the wings from two $5 bills. How to Make a Dollar Bill Angel. 1. Fan fold all 3 bills the long way, making the folds about 1/4 inch apart. 2. Measure in about 1 1/4 inch from one end of one dollar bill, scrunch the folds, and tie a twist tie tightly around it. This forms the head of the angel. 3. To make the wings, lay the other 2 fan folded bills side by side. Apply double sided tape in a few areas on one long edge of a bill. Line up the other bill with the folded taped edge, and press the 2 bills together. 4. Find the center of these two bills and fold. Scrunch up the center of the wings, and lay them behind the angel body. 5. Use the twist tie to attach the wings to the body at the neck of the angel. Twist a few times firmly and then hide the ends of the twist tie behind the wings, among the folds. 6. To attach the ribbon, lay it diagonally across the angel’s body from the left under wing to the right top of the wing. Fold the ribbon under, cross the ends and bring the ends up above the wing on the left side and below the wing on the right side. I found the bright red ribbon shows up better than the gold ribbon, and any bright color would look pretty. The angel can be tied to a package, hung on a Christmas tree, or wrapped in a small box. This is so clever!!! Thanks for sharing. This would be the neatest little idea for Christmas. Just attach it to a candy cane and that’s perfect! I’m coming to you from Wake Up Wednesday; I’m a cohost. Such a super easy creative gift. Love it! Pinned it. Saw this on You’re going to love it. So cute, pinned on my Christmas board. This is great! They would make great decorations and gifts. Great idea. Thank you for sharing at The Southern Special and please join us again Tuesday beginning at 7:00am. What a cute idea. I think kids would have fun making these angels. Thanks for sharing. I have an aunt who would always fold our birthday and Christmas presents into things like this. They were always so fun to receive! This is so cool! Thanks for sharing it with us at the Home Matters Linky Party. I hope you will party with us again this Friday. This is great! It’s so easy to create . But it’s so cute and pretty and smart. Thank you for your link! 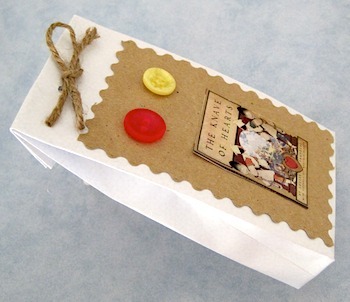 What a fabulous way to gift money – so much more fun then a gift card. This is so cute!!! Thanks for sharing at My Flagstaff Home! What a cute idea as a way to give money. So much more interesting than just putting it in a card. What a neat idea! This would be a fun way to give a cash gift or add a surprise to another present. Pinned! 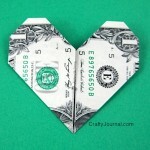 I always love your creative dollar bill creations! This angel is so cute. Thanks for sharing with SYC. Great idea! What a great way to give money as a gift. Thanks! This would be perfect for teenagers!! Thanks for sharing on My 2 Favorite Things on Thursday! Hope to see you again this week…(with no issues lol!) Pinned! This would be fun to stick in the tree for the kids to find Christmas morning. Thanks for sharing at #made4kids! How cute! I’m going to make some of these for stocking stuffers! Thanks so much for sharing at Share The Wealth Sunday and I hope you’ll join us for an all new party tonight! I made 2 of these angels with 2 twenties and 1 ten dollar bills to put into our fund raiser silent auction. Great idea. Put them in a cute Christmas flat box lined with that white cottony stuff.